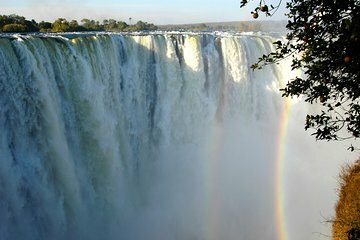 Book once to experience five of the most popular things to do in and around Victoria Falls. Take a sunset cruise on the Zambezi River, spend the day in Chobe National Park in Botswana on a boat tour and game safari, take a guided tour of the falls, and ride in a helicopter. This package includes the tours, plus private transfers from the airport and to each of the activities.